DuckTales S1 Episode 3 – The Great Dime Chase! Kurtis and Mike are here to talk about the Ducktales episode, The Great Dime Chase! Can Louie recover Scrooge’s lucky Number One Dime from the clutches of an invention gone rogue? I guess you’ll have to listen and find out. Plus, we hear from our Junior Woodchucks, as well as you guys, in the mailbag! 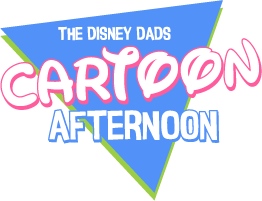 All that and more on this exciting episode of Cartoon Afternoon!